Remember the swine flu? Last year it was all you heard about on the news. Each evening we were shown statistics that gave us an up-to-the second tally of deaths linked to H1N1. “Experts” were encouraging everyone to get the vaccinated against this serious threat. Local clinics were swamped with terrified people demanding the vaccine for their entire family. 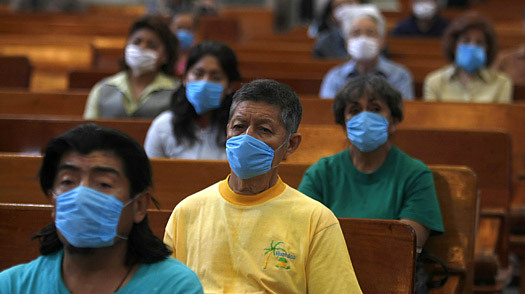 All of this was because the World Health Organization (WHO) declared that the swine flu was a world wide pandemic. Now the British Medical Journal (BMJ) has published an article accusing the World Health Organization of conflicts of interest with regard to H1N1. The authors accused the organization of exaggerating the severity of the virus, and of taking advice from experts with ties to vaccine- and antiviral-producing pharmaceutical companies. Almost exactly one year ago Dr Margaret Chan, the director general of the World Health Organization announced to the world that there was pandemic in full effect. She told us that she had consulted with leading scientists, doctors and virologists to make her decision. The WHO offers advice to governments for situations just as these. If there is a major pandemic they advise governments on how to handle it. Following the WHO’s advice, governments bought billions of dollars worth of vaccines, oseltamivir (Tamiflu) and zanamivir (Relenza). And according to the BMJ, the vast majority of it is sitting unused. For some reason, the WHO changed the definition of ‘pandemic.’ In response to the chicken flu outbreak in 1997 in Hong Kong, the WHO began to organize a pandemic preparedness plan. The WHO is rightfully concerned about a flu pandemic of that scale. An estimated 50 million people, about 3% of the world’s population (1.6 billion in 1918), died of the disease. A total of 500 million, or 1/3 were infected. How could the WHO compare the swine flu last year to the 1918 flu? They aren’t even close. The WHO has been accused of removing the words “enormous numbers of deaths and illness” from the definition of pandemic. I guess if you remove those words the 1918 influenza pandemic and the swine flu “pandemic” of 2009 could be categorized together. “R Snacken, J Wood, L R Haaheim, A P Kendal, G J Ligthart, and D Lavanchy prepared this document for the World Health Organization (WHO), in collaboration with the European Scientific Working Group on Influenza (ESWI).” What this document does not disclose is that ESWI is funded entirely by Roche and other influenza drug manufacturers. Nor does it disclose that René Snacken and Daniel Lavanchy were participating in Roche sponsored events the previous year, according to marketing material seen by the BMJ/The Bureau. (From the BMJ). Why are these antiviral drugs considered so important in a pandemic? Because vaccines are likely to take months to be available in the numbers required for a true pandemic of the scale that hit in 1918. These antivirals could be life saving if a truly virulent strain of flu emerged. They would also be a windfall of revenue for the pharmaceutical companies making them. Of course, there are many natural remedies that boost immunity very effectively, but they are not marketed because they don’t have the big money of Roche or GlaxoSmithKline behind them. That’s for another blog though. The WHO says it checked into the backgrounds of the people it relied on to make its guidelines which called for countries to stockpile antiviral drugs. It says it investigated the financial ties of these scientists to the pharmaceutical industry. But, according to the BMJ they are refusing to release the information they gathered in their investigations. This lack of transparency is concerning. Because of these recommendations that the WHO put forward, mostly established by scientists with significant ties to Big Pharma, Roche and GlaxoSmithKline made $12 billion on antiviral drugs with the lion’s share going to Roche and Tamiflu ($10 billion). And all this for drugs that should have never been approved for use in the US! An FDA advisory committee originally recommended that Relenza not be approved because it had safety concerns and showed very little benefit over placebo in US trials. The FDA did not adhere to the advice of its committee (it is not required to) and approved it because “they would feel better if there was something on the market in case of a pandemic,” and “it wasn’t a scientific decision.” This is according to Dr. Michael Elashoff who was a former employee of the FDA, and was the statistician working on the Relenza account. This fact, according to Dr. Elashoff paved the way for Tamiflu’s approval later that same year. Dr. Chan wants the WHO’s work on H1N1 examined. She asked for an independent review of how the WHO handled H1N1 in January. Hopefully this will produce some results, but I doubt it. Traditional medicine is filled with conflicts on interest from Big Pharma. This is just another example. The swine flu was not a major pandemic and according to the WHO “the overwhelming majority of patients experienced mild symptoms and made a rapid and full recovery, even without medical treatment.” If that was the case, and I believe it was, why did they instruct countries to stockpile billions of dollars worth of pharmaceuticals? I think the answer is clear. Big Pharma was able to strategically place scientists on influential panels to sell drugs. During the swine flu “pandemic” I recommended that patients take a little extra vitamin C, D, and A, get plenty of rest and eat as healthy as possible. Those recommendations are far safer than running out and vaccinating yourself or prophylactically taking Tamiflu, both of which have serious side effects. Remember, a conservative approach is almost always the best way to tackle a problem. A new warning from the FDA states that drugs called proton pump inhibitors increase the risk of wrist, spine and hip fractures. These proton pump inhibitors are used to treat heart burn. They prevent your stomach from producing the acid required to properly digest food. 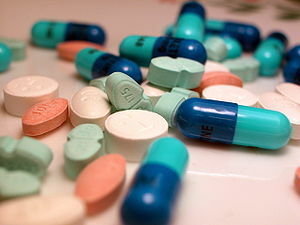 Drugs cited by the FDA are Nexium, Dexilant, Prevacid, Prilosec, Zegerid, Protonix and Aciphex. The FDA warns that use of these drugs for more than just one year or at high doses is enough to increase the risk of fracture. The increased risk of fracture was seen in people 50 years old or older. “A staggering 113.4 million prescriptions for proton pump inhibitors are filled each year, making this class of drugs, at $13.9 billion in sales, the third highest seller in the United States,” writes Mitchell H. Katz, M.D., of the San Francisco Department of Public Health in an editorial in Archives of Internal Medicine, May 10, 2010. He notes that while proton pump inhibitors are helpful in treating selected medical conditions, the huge numbers prescribed indicate that many–53-69%–are prescribed inappropriately. Treatment with the anti-heartburn drugs known as proton pump inhibitors (PPIs) for eight weeks induces acid-related symptoms like heartburn, acid regurgitation and dyspepsia once treatment is withdrawn in healthy individuals, according to a new study. More than 40 percent of healthy volunteers, who had never been bothered by heartburn, acid regurgitation or dyspepsia, developed such symptoms in the weeks after cessation of PPIs. If these drugs are being prescribed for people incorrectly or for people who don’t need them, there is a very real chance a physician could create the very problem he is supposedly treating. In people who do not have peptic disease “rebound hypersecretion” occurs. To explain, within two weeks of stopping the PPI your stomach begins to actually over produce acid. This is all induced by taking a pill that is supposed to reduce acid production. An extremely convenient way to get people hooked on your product don’t you think? I wouldn’t put it passed the pharmaceutical industry to design a product that would cause total and lifetime dependency on it. 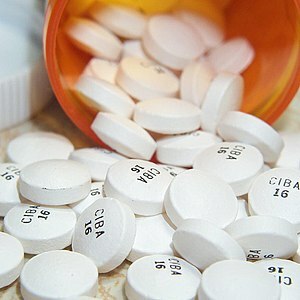 Unfortunately, these drugs are treated by most physicians as if they are harmless. They are intended to be used for no more than 14 days at a time. However, I have many patients that come to me who have been on them for years. When they voice their concerns to their physicians they are reassured that what they are doing is safe and not to worry about the long term effects of these drugs. It’s outrageous. The problem with PPIs is that they reduce stomach acid when the problem for most people who experience reflux is not over production of acid at all. It’s actually under production of stomach acid! This lack of stomach acid leads to improper digestion of food which can be irritating to the stomach. It also allows a very specific bacteria to grow called H. pylori. This bacteria is responsible for producing ulcers and possibly increasing the symptoms you are trying to prevent. There are actually over 16,000 articles supporting the fact that suppressing stomach acid does not treat the problem. The first and potentially most important way is to lose weight. People who are overweight are much more likely to suffer from heartburn. Often times losing weight solves the problem without any other interventions. Try a little sodium bicarbonate. Sodium bicarbonate, or baking soda, is a great way to relieve the symptoms. One half to one teaspoon of baking soda mixed with water and swallowed often relieves the symptoms immediately. Find out if you have a hiatal hernia. 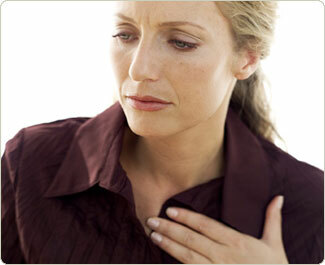 A hiatal hernia is when the stomach begins to slip up passed the diaphragm. When this happens is allows stomach acid to reach the esophagus causing irritation. There are simple manual maneuvers that can reduce this hernia without surgery. It is very effective if applied correctly. Change your diet! 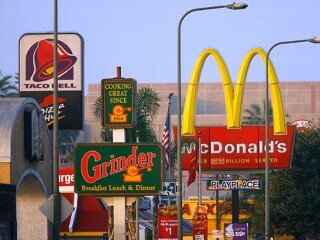 If you want heartburn, eat lots of processed food and sugar. By eliminating these things from your diet you can significantly improve your symptoms. 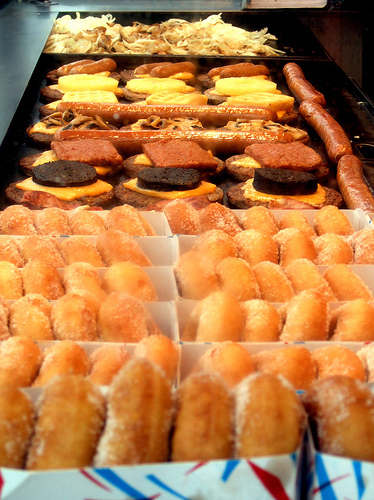 Eliminate any food triggers you have identified. 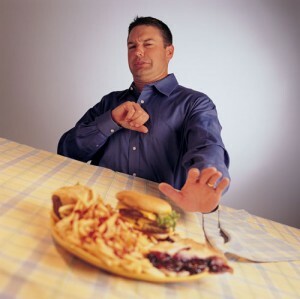 Occasionally foods will trigger symptoms like this. If this is the case there is no need to take a PPI. Simply eliminate these foods from your diet and you’ve solved your problem. The increased risk of fracture is serious. Often times a hip fracture is fatal in the elderly. Keeping your body healthy from multiple aspects is important for reducing your risk of heartburn and dependency on PPIs. If you follow the steps outlined above you should be able to significantly reduce your symptoms in a very short period of time. No more letting industry help pay for developing medical guidelines. Restrictions on consulting deals. And no more pens with drug company names or other swag at conferences. These are part of a new ethics code that dozens of leading medical groups announced Wednesday, aimed at limiting the influence that drug and device makers have over patient care. It’s the most sweeping move ever taken by the Council of Medical Specialty Societies to curb conflict of interest — a growing concern as private industry bankrolls a greater share of medical research. The council includes 32 medical societies with 650,000 members, from neurologists and obstetricians to family doctors and pediatricians. They include the American College of Physicians, the American College of Cardiology and the American Society of Clinical Oncology, the largest group of cancer specialists in the world. “We take very seriously the trust that is placed in us by physicians and patients to be authoritative, independent voices in cancer care,” ASCO’s chief, Dr. Allen Lichter, said in a statement. He led the panel that developed the code. One of its most controversial rules: requiring top leaders of any medical society and top editors of its journals to have no consulting deals or financial ties to industry. “When a physician stands up to represent medicine and his or her specialty, there shouldn’t be any confusion as to who they’re speaking for,” said Dr. Norman Kahn, the council’s chief executive and a former rural medicine doctor from California. Publicly post any industry support the group receives, such as money for continuing education sessions. Decline industry funding for developing medical practice guidelines, such as who should get a drug, a test or treatment. Require that most members of a guidelines panel be free of financial ties to industry. Disclose any financial ties that leaders and board members have with companies. Ban company or product names and logos from pens, bags and other giveaways at conferences. Fourteen groups in the council, including ASCO and the College of Physicians, have already adopted the code. Most of the rest plan to by the end of the year. Last year, leading medical journals agreed to use a uniform conflict-of-interest disclosure form for researchers publishing in their journals. The new ethics code the council is adopting should make financial ties more transparent to patients and breed professionalism and trust in doctors, Kahn said. I certainly think this is a step in the right direction. Pharmaceutical companies control medicine completely now. They control the treatments, the research, the education and worst of all, your options. Their reach is as far as you can possibly imagine. Treatments that are natural, effective and inexspensive get passed over because Big Pharma wants it that way. They make sure to “educate” (indoctrinate is more like it) as many doctors as possible that any natural remedy is quackery. You enter your doctor’s office and he is holding your recent blood test in his hand. He tells you that your cholesterol is high and you need to start Lipitor right away. You ask you doctor if there are any other treatment options, but because your doctor has just been to a conference sponsored by Pfizer (the maker of Lipitor) he tells you that there are no better options for you. He is telling you this because he just learned that “the research” (done by Pfizer) says Lipitor is the most effective treatment for high cholesterol and that it’s the only medication studied that shows it reduces heart attack and stroke risk. He was also told that diet and exercise only reduce cholesterol by 10%-15% so you shouldn’t bother because you need to lower it more than that. All these “facts” he is quoting you are from research Pfizer has conducted on its own product. And if this weren’t enough, your insurance company will pay the most for Lipitor because the guidelines written for cholesterol management were written by a team of 10 physicians, 4 of which had financial ties to Pfizer. What he didn’t learn at his conference is that things like diet and exercise are very effective tools for reducing cholesterol when applied correctly. Low carbohydrate is the way to go on that one. He also did not mention that things like red yeast rice, niacin and plant sterols are very effective ways to reduce cholesterol without resorting to a poisonous chemical like Lipitor. These things were not mentioned at his conference because alternatives would hurt overall sales. By the way, your insurance company will reimburse you exactly $0 for anything that isn’t a drug because they don’t have billions of pharmaceutical dollars behind them. They also won’t pay for you to go to the gym and actually get healthy. Hopefully these new guidelines will have an effect, but because they are not federal acts I doubt they will have any real impact. Your best bet is to be your own advocate. If you don’t want to take a drug, find out from a nutritionally trained physician what you can do. If you’re concerned about the effectiveness the fix is simple – do objective testing like blood work to see if what you are doing is working. I think you’ll be surprised to find out just how effective these natural alternatives are.